21st Century Skills: Learning for the Digital Age | The Forum Network, hosted by the OECD: Shape ideas. Shape policy. Shape the Future. Our world is changing at dizzying speed. Globalisation, technological innovation, climate and demographic change are creating both new demands and opportunities. How do we respond? 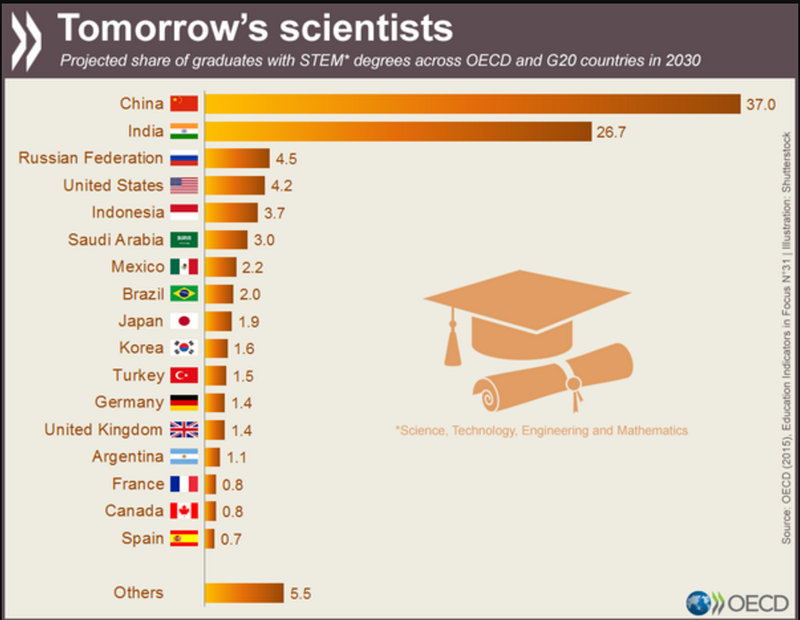 How do we prepare students for jobs that have not yet been created, for technologies that have not yet been invented? Nicholas Haan, Vice-President of Impact at the Singularity University, estimated that our current skill sets would last only “the next decade or two”. 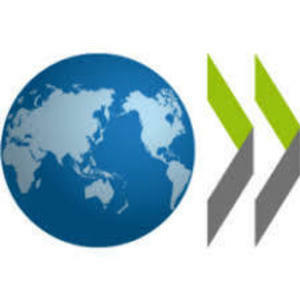 Andreas Schleicher, Director of Education and Skills at OECD, suggested that knowledge is no longer stacked up in silos. What is required is the capacity to think across disciplines, connect ideas and “construct information”: these “global competencies” will shape our world and the way we work and live together. Warning of fake news and social media echo chambers, he stressed that distinguishing fact from fiction is essential in our digital age and requires, “the capacity of young people to see the world through different perspectives, appreciate different ideas, be open to different cultures”. "Globally competent" students have an understanding of recognised academic subjects, such as reading, mathematics and science, but equally non-cognitive abilities like tolerance, empathy and perseverance. Far from being separate these skill sets interact and cross-fertilise each other, increasing a child’s likelihood of achieving positive outcomes later in life. Early interventions in both social and emotional and cognitive skills can therefore play an important role in effective student development and reduce educational, labour market and social disparities. Despite soft skills being the area where demand is growing most rapidly, this is not always reflected in curricula. Oley Dibba-Wadda, Executive Secretary of the Association for the Development of Education in Africa said that, “In the classroom, students are learning to pass exams. When they graduate, they have a certificate but they cannot find jobs. We need to teach skills in public speaking, in self-confidence, in reading and writing – skills to explore”. If we are to thrive in an increasingly digital, interconnected world, should we not also learn how to make the most of technology? Can technology help us to acquire – and maintain – the skills we need? We know that emotions play a key role in learning as our cognitive and emotional systems are intertwined in our brain. Can technology help create the right conditions for people to learn? 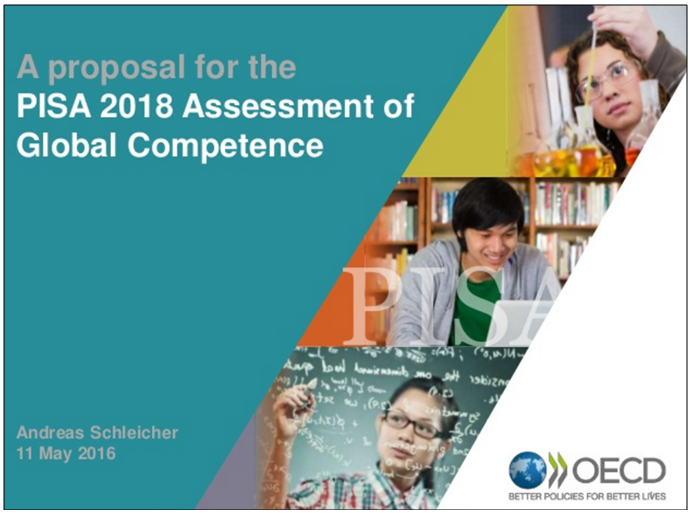 Results from the OECD’s Programme for International Student Assessment (PISA) show that schools have yet to take advantage of the potential of technology in the classroom: in most, very little has changed in the way students learn or the way teachers teach. Andreas Schleicher emphasised the need to integrate technology into education to support 21st century pedagogy and learning environments, stating that, “Technology is the only way to dramatically expand access to knowledge.” He recommended that teachers be “at the forefront of designing and implementing this change” but Oley Dibba-Wadda made the point that, for “BBC” teachers (Born Before Computers), it is difficult to understand what is happening and they “need to be taught how to deal with technology”. Today, an estimated 57 million children still do not have access to primary education and too many continue to be excluded because of poverty, gender, ethnicity, where they live and armed conflicts. Technology has a huge potential to reach and empower children across the world and help us reach Goal 4 of the Sustainable Development Goals: to ensure “inclusive and equitable quality education and promote lifelong learning opportunities for all”. Nicholas Haan argued that governments were not acting fast enough to ensure access to education and this is something that “needs to be disrupted, aggressively and fast”. Lars Qvistgaard, Chairman of the Danish Confederation of Professional Associations, reminded the session that older learners can also benefit from these developments, saying, “We need technology-assisted learning for them, too”. Evidence seems to suggest that technology and collaboration can help spark innovation in STEM (science, technology, engineering and mathematics) education. Some technology-supported pedagogic models, such as gaming, virtual laboratories and international collaborative projects, are particularly interesting. They have the potential to improve students’ learning outcomes, including the development of higher-order thinking skills. They also seem to expand the range of learning opportunities made available to students. Mads Tvillinggaard Bonde, CEO and founder of Labster, is using virtual reality to try and change the way science is taught today, with the aim to “disrupt the way we teach students about lab work and empower the next generation of scientists to save the world”. However, concerns about the risks and ethical issues associated with some technologies seem to be growing. Lars Qvistgaard gave Denmark’s proposed use of artificial intelligence in the healthcare sector as an example. With some doctors saying that AI has learned how to diagnose cancer in the US, he explained that, “in Denmark we diagnose differently… there is a cultural and ethical dimension to consider”. With all the possibilities of technology, for a just, sustainable and prosperous world we need human hindsight and skills. What, how and where we learn is being shaped by progress, and education should try to complement these new ideas rather than substitute them. How do we respond to the dizzying speed of globalisation, technological innovation and climate and demographic changes? How do we prepare students for jobs that have not yet been created, for technologies that have not yet been invented? Can technology help us to acquire – and maintain – the skills we need?